Who stole the cookie from the cookie jar ? When the festival comes how the sweets be far behind. Bringing kids into the Kitchen can benefit them in number of ways. 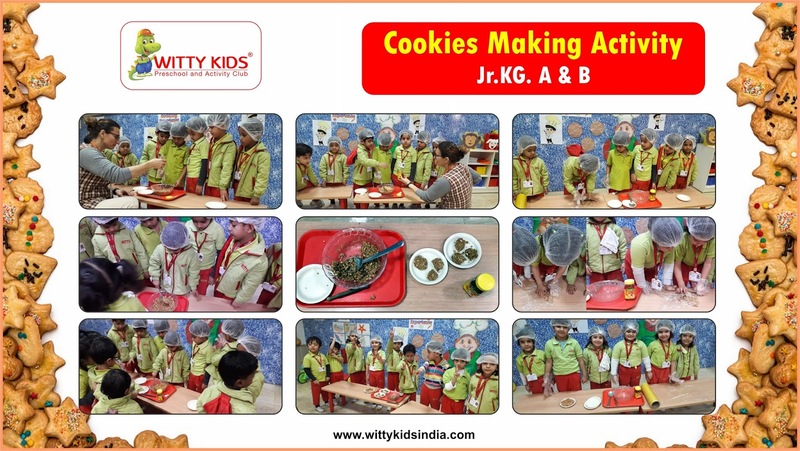 Cooking can help to build basic skills. t. The children pounded the biscuits, added honey and just crunched it. The little toddlers had so much fun doing this activity and learnt about the different ingredients that were used to make these yummy cookies. With this activity children got a sense of accomplishment , self confidence and feeling of contributing to their families.